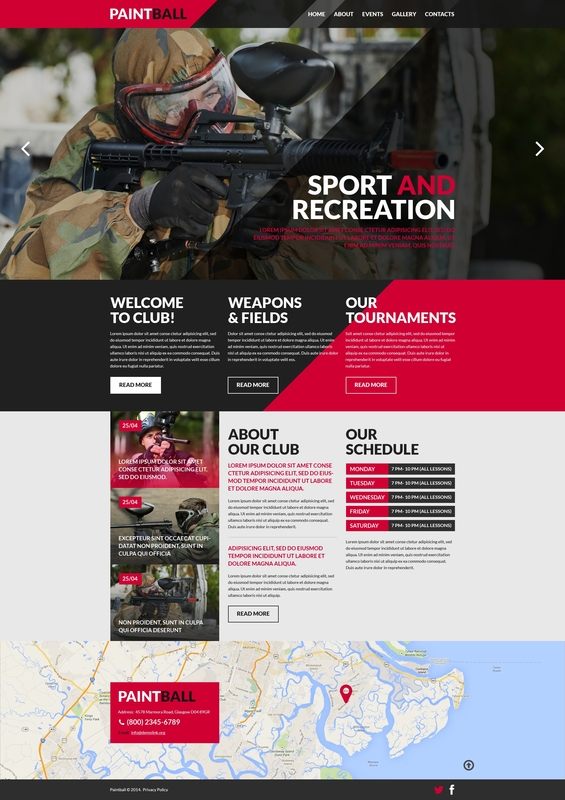 This particular paintball store website template boasts a stylish and eye-catching look plus a variety of impressive tools. This specific web template is exclusively tailored for paintball league, paintball supplies or paintball tournament. A totally responsive layout makes the theme accessible from both mobile and laptop devices. This particular web theme comes with a straightforward yet still powerful design that gets users' attention to content. A detailed documentation folder as well as free 24/7 assistance are provided. If you hope to establish a high quality online project, go with this modern layout!